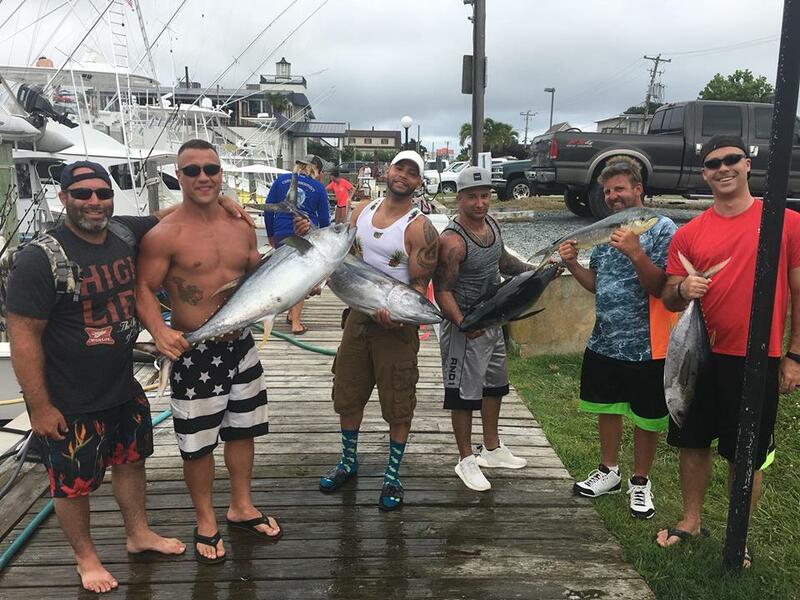 Ocean City Maryland also provides an incredible Marlin fishery. 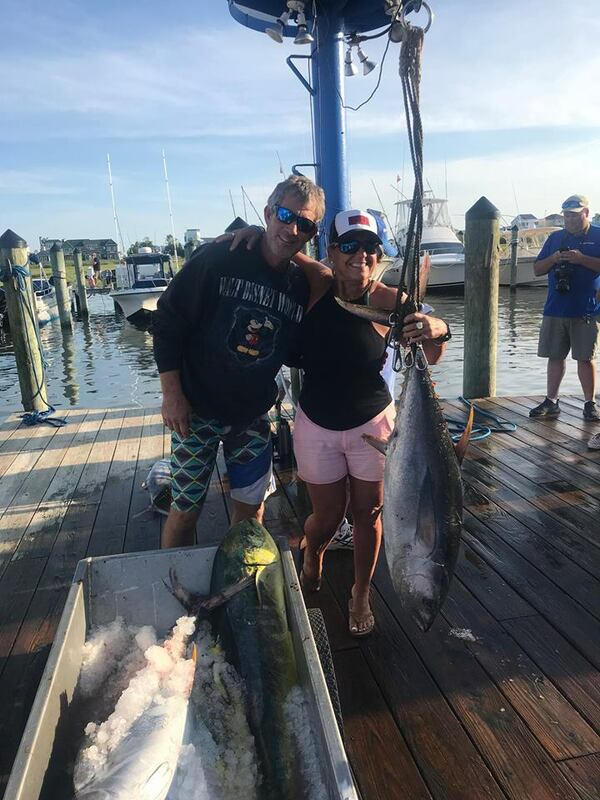 Starting as early as July we have a descent showing of both Blue Marlin and White Marlin. 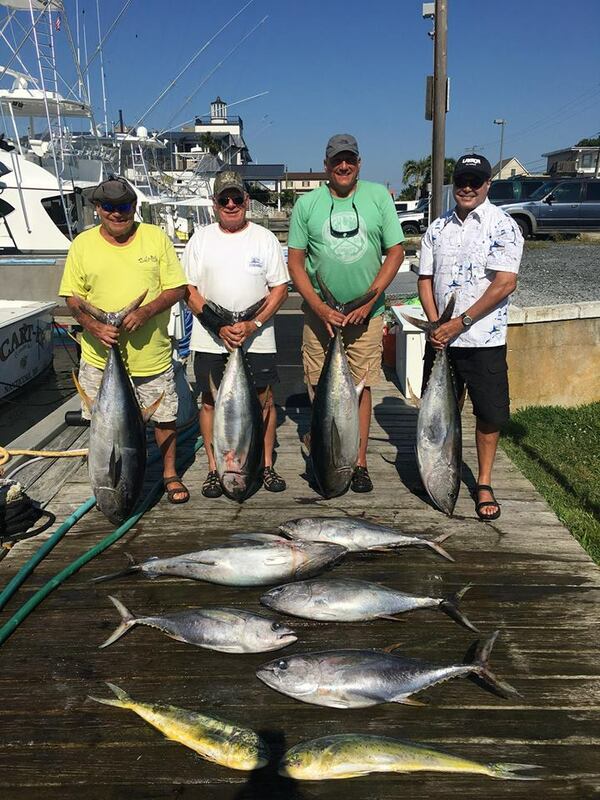 You will find these fish mixed in with tunas inside of 40 fathoms. 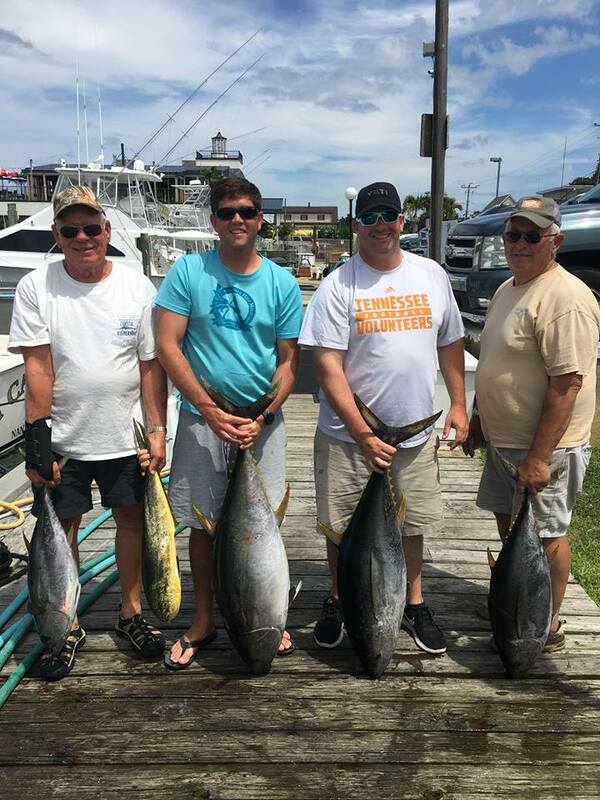 When August rolls around things are in full swing, the runs to the fishing grounds are a bit further since these fish like the deeper waters. 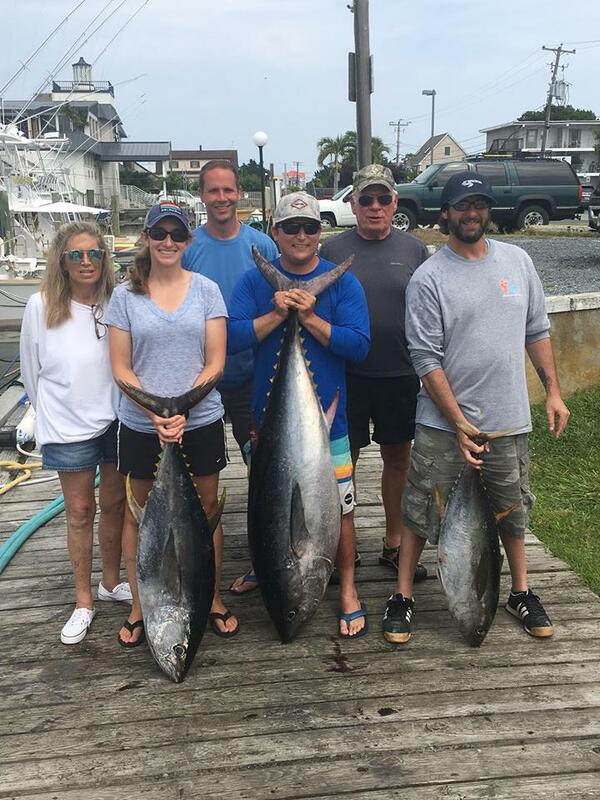 You will find yourself amongst a mecca of fish and mammals as well as some spectacular bird activity. Trolling dead baits [ballyhoos] with about 6 lines in the water and perhaps a few dredges and a squid teaser, now you are ready. 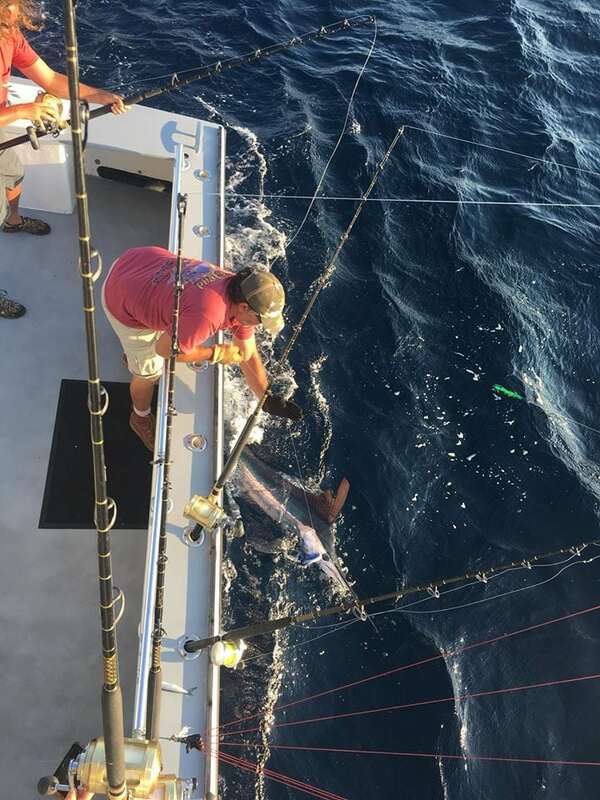 We like to use fewer lines in order to be more successful with multiple hook ups, nothing better than catching three marlins at once, provides for a great show! 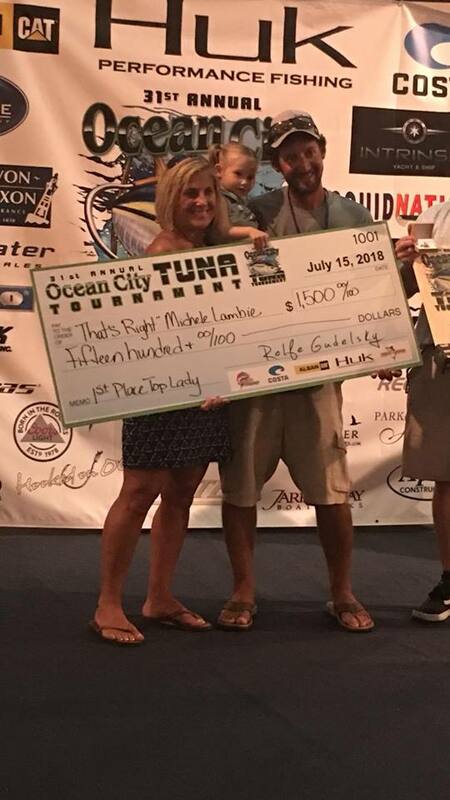 The White marlin fishing in Ocean City Maryland has become an unbelievable opportunity for you to catch your first or perhaps throw a fly at them, either way you can’t lose. 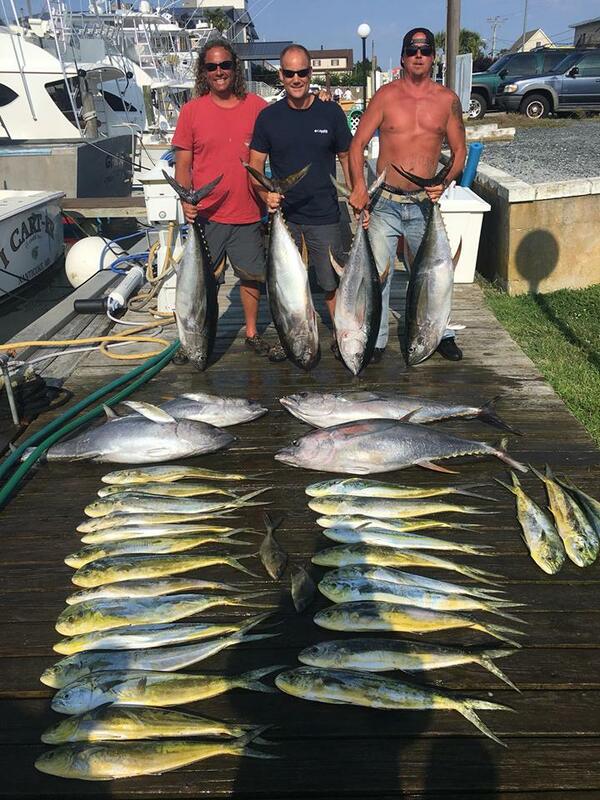 You will also find some sailfish and spear fish mixed in with this awesome display of marlin fishing.